What are the key challenges to raising outside of the valley? What advice would you have for founders regarding crowdfunding? What are the most common missteps that you see startups make, when attempting to raise capital? Regardless of location, what are the three roles that make for the ideal team at the seed stage? What are some of the things that you’ve learned through the fundraising and investing process that has was different than your initial assumptions or mindset? Morris gave the example of raising a round before an accelerator, after an accelerator and a third when you’re halfway to your Series A milestones. This seems to have become the rule as opposed to the exception in many startup ecosystems. I wish I had a concrete theory as to why this is the case. I don’t, and will research it further. But what we do know is that this is the environment we’re in. We’ve talked previously on Episode 12 about the Rolling Close and the Bridge to Nowhere. We won’t rehash that here but we should acknowledge Morris’ insights. His initial placement will often be $50k, yet he’s trying to increase that position to $250k. Not throughout the A, B an C rounds but all $250k within the seed round. I haven’t heard an investor illustrate this strategy before but it’s a pretty interesting one. Even within a round or Stage, which has a fuzzy definition to begin with, he is looking for that traction and progress to milestones and releases more of the $250k as things progress. In a way, like Steve Blank’s advice on early-stage evaluation, one must monitor a startup’s progress before a huge capital infusion. A fixed point in time says little about progress. Most of us think of these platforms as places to list your startup and fundraise and/or syndicate your round, but it is also a great place for startup founders to do some recon on investors. They can get some information from afar on the types of sectors and business models that different investors invest in. And they can also reach out to other entrepreneurs that have been funded by a certain investor to get a better sense for that investors style and approach. Mike also mentioned that some of those entrepreneur relationships started through a platform turned into investor intros. How could not include this as a key takeaway. It’s a great sound byte and more than that it’s a great philosophy. We’ve heard many investors talk about the necessity of a builder and a seller. I like Morris’ take that you need the builder ie. the Technical creator or coder but also that you need a design person. Someone that understands User Interface and product design. Can take customer requirements and translate that into a product offering. It’s not a great surprise that the most valuable company in the world is Apple, one that has intensely focused on industrial design and user interface as a differentiator. This is often the bridge between great technology being used by highly technical people and great technology being used by the masses. And finally, Morris’ “suit” is a person that understands the business side of things. They can sell, they can set price, they can structure the business model appropriately. And the final point on this is that these three roles don’t have to be played by three different people. And in fact, there is typically one individual wearing two of the hats, although it’s very unusual to find one who wears all three. 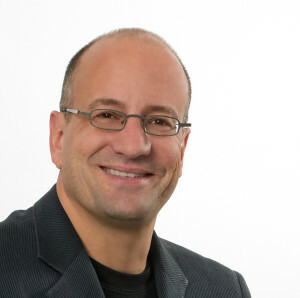 Nick: Today we welcome Morris Wheeler, and Mike Belsito. Morris is a mentor at Tech Stars Boulder, and has a fund, Drummond Road Capital, that was named one of the most actuive CVCs of 2013 by CB Insights. 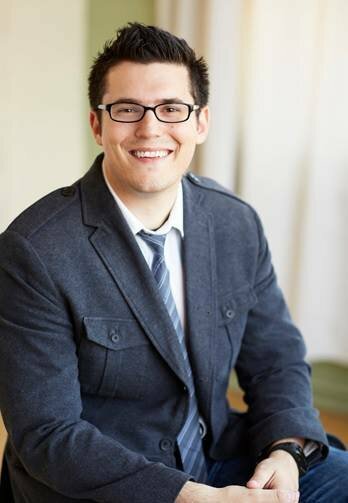 And Mike is an entrepreneur and author of the upcoming book, Startup Seed Funding for the Rest of Us, all about raising capital outside of the valley. Morris and Mike, welcome to the program. Mike: Thanks very much. Thanks for having us, Nick! Morris: Yeah, thank you very much. Nick: Let’s kick things off with a brief intro. Morris, maybe you can start. Can you give us a sense for how you got involved in startup investing? Morris: Well, I’m a, uhm, a VC from way back during the first internet phase. I ran a fund back in ‘93/’94/’95, in that timeframe, and after starting and running and exiting my own internet company, and then somehow growing and exiting a small public industrial company that I was a partial owner and CEO of, I decided it was time to go back into the venture game, and that’s what I’ve been doing since 2008. Nick: 2008, so at that point, did you raise drum capital, or did you get your start more as an angel investor? Morris: I did a little bit of both. And the fund came into play in 2010. Nick: And now for Mike, what was it about raising capital in a smaller market for your previous startup that compelled you to write a book about it? Mike: It’s interesting, when I look back, the startup that I had, eFuneral, we raised close to a million dollars over the course of three years. And it wasn’t one of those things where it was just a two week process, start the process, raise a million dollars, close it. It was a million dollars over a three year period. But as soon as we started going through the process of fund raising here in Cleveland, I was getting approached all the time form other founders who were just like me that didn’t really know too much about the process and the journey of raising capital. So before, we really got going during, and then certainly afterwards, certainly now, I just got approached all the time by founders that wanted to meet for coffee and their question would just be “How did you do it?” and at first, I didn’t really have a great answer for them, but I started to really reflect on “Well, what did we do that kind of put us in a position to raise the capital that we raised?” Especially in a place like Cleveland, Ohio, and ultimately I thought a single resource that somebody could turn to—especially for those people that aren’t coming from San Francisco or Silicon Valley or New York City—I thought a resource like that could be really helpful. So that was really the genesis for the books. Nick: Was the million dollar raise—was that one raise, or did you do a seed and then a Series A? How did that sort of roll in? Mike: I guess it could all be considered a seed round for us. But really, it was sort of peppered in over time. Certainly there was an initial amount that we raised, several hundred thousand dollars, in the very beginning to get going, but over time, the resources of capital in northeast Ohio that they are available to technology entrepreneurs. But to access those resources of capital, you have to hit certain milestones, there’s a certain process to go through. So that’s how we were able to raise of the other funds that we raised, which ended up totally close to a million dollars. But it was really—again, I say it was a three year process of raising capital because there really wasn’t a time where I wasn’t a time where I wasn’t thinking—at least partially—about raising capital. Morris: Nick, I’m gonna jump in here for a second because my experience has been, and I think this is especially true for companies outside of the Silicon Valley area—although it applies to a certain extent to them as well. Seed is no longer a round. Seed is a twelve to eighteen month process, in which there are several trunches of fundraising that take place, that when looked at all together form the point of a few—of a later series A raise, were the seed. It’s not a single round, it’s not a single point in time, and I find that that is typical for almost every company. The length of time that that seed process takes is a little bit different depending upon what region you’re in. Seed has really become a process not a round. Nick: Right, you get these rolling closes and startups are gonna take money as they can get it. So they can provide more incentive to get your money and early as a professional investor, but certainly different trunches can be set up over that fundraise period. Morris: Exactly right. You may raise at one evaluation or one cap before an accelerator, another after an accelerator, and the third when you’re halfway to what you think your series A milestones are. Nick: Yep. Seen plenty of that. So Mike, were you doing a price round, or convertibles, or some sort of mix? Mike: We actually raised on a convertible note. So that was, you know, in the very beginning—this was for us back in 2011, it was the summer of 2011 that we started that business and at the time, a convertible note seemed to be an easy instrument and that was part of the reason why we went that direction. Over the course of the past several years, it’s become just as easy to raise in a priced round as well, so I think some of the reasons why we raised on a convertible note—it may not necessarily even be applicable today. Nick: Good deal. Valuable insights. We’ve seen some of the same things here in Chicago. So most of the questions here will be for both of you. And feel free to answer them as you like, but first off, can you highlight some of the key challenges that make it difficult for startups to raise outside of the Valley? Mike: One that immediately comes to mind for me is access to capital. But there’s a caveat to that. So what I mean by that is in a market like Cleveland, Ohio, there aren’t as many investors, let’s say. So the access to the capital that exists in a market, you might have people that are willing to meet with you, but there just isn’t as much funding in this particular market. And so that is a challenge. On the other hand, sometimes it is a self-fulfilling prophecy in that founders will use that as an excuse. The reality is, we aren’t bound by our geographical boundaries here. So a founder in Cleveland, Ohio can and should very much build relationships outside of the market that they live within. So for us, that was actually the case. We were able to build relationships with people outside of Cleveland, and in fact some of the investment we raised was as far as Albuquerque, New Mexico. But we had to make a conscious effort of doing that, so I think that’s something that for founders, while it is a challenge, it’s not something that has to bind you forever, especially outside of your geography. Morris: I think that’s an important distinction. I think too many companies get caught up in this idea that they need to only raise locally. And today that’s just not the case. I think the most important thing is understanding that the road to capital is not generally paved with cold calls. Morris: It’s paved with introductions, and you gotta work a network, and you gotta build a network in order to get to the capital. Nick: Yeah, and use your investors too, right. If you’ve got a mentor in the area that believes in you. Then absolutely tap into them and their networks. Mike: I was just gonna add, I mean, you’ve be surprised too just the technology that exists for us. People can absolutely build those relationships in ways that you might not traditionally think of as relationship building. I can tell you several investors that I was able to build relationships with, some that even turned into interview subjects for the book, they started on Twitter! I replied to a question that they posed on Twitter, and soon enough, I realized that they were the ones replying to questions that I’m posting on Twitter and…the relationship doesn’t end there. Then, all of a sudden, those turned into email conversations, phone calls, in some cases, we were being considered for investment by some of those individuals, but I think people can realize that relationship building doesn’t have to be face to face initially. You can look to some of these creative tools that everybody has access to, to get your foot in the door. Nick: Yeah. I consider us very fortunate to be in an industry where investors embrace technology, and they use it, and they even will interact with you across a variety of platforms. So that certainly has been helpful to me in connecting with other investors, and for engaging with folks on the show. Morris: Yeah, I would say sixty to seventy percent of the first meetings that I take are video meetings using Google Hangout or Skype. Morris: Yep. Because—I mean, I’m doing—only about twenty percent of my investments are in the Cleveland area. And the first meeting I do with most companies, if they’re form the Bay Area or they’re from Colorado or from Los Angeles or New York, the first meeting I’m gonna have is gonna be a Skype or video meeting. Nick: Do you think you lose anything through that or with the nature of video conferencing, how far it’s come, are you getting a pretty good sense for people on that first meet? Morris: I can get a pretty good sense in a half hour meeting. Obviously it’s not quite the same as being in person, but adding that video aspect and being able to interact and see body language and be able to have a conversation with somebody, it’s a good screen. Again, that’s a first meeting. I generally have a couple of meetings before I make an investment, but I would say it’s a very good way to do a first screen. I don’t think there’s any way I could do the type of investing I do without video conferencing. Nick: So I was gonna touch on this later, but with the nature of investing becoming less localized, maybe we can jump into it now. So as far as crowdfunding goes, do you guys think this has lowered the barrier to raising for smaller market startups? And what advice would you have for founders with regards to crowdfunding platforms? Mike: A couple of things that I’ve experienced here in Cleveland—and crowdfunding can mean a couple of things. Crowdfunding can mean Kickstarter for a physical product, but I think we’ve also seen platforms like AngelList become really popular in terms of equity fundraising. What I’ve experienced is platforms like AngelList are, first of all, amazing, and everybody should be using AngelList as a way to find out who the investors are and specific verticals in specific markets. We actually didn’t raise funds on AngelList, per se. there was one investor that did invest in eFuneral, and he reached out through AngelList, but really he’d heard about us before. But where it become incredibly useful, in a place like Cleveland, is if I start to expand my networks outside of the geography that I’m familiar with, and I start looking at places like Columbus and Chicago and even New York, I might not have that network. And in fact, three years ago, I didn’t have any sort of network in those markets where I knew the investors that were very active. With AngelList, I’m able to not only see who the investors are, but I can see who they’ve actually invested in and then that would then be—I have reached out to the entrepreneurs that have worked with those investors to try to get a good sense of who they were and how they are to work with, and ultimately, some of those relationships would turn into introductions to those investors. So I think if you could work the platform like that, it could be really useful. I haven’t—from at least the experiences of friends of mine in places like Cleveland and Columbus, I haven’t seen the overwhelming majority of people that have raised rounds raise them, the majority, on a platform like AngelList, but in all cases, they’re using AngelList for information collecting for sure. I think it becomes much more common to actually raise the round through a platform like AngelList when you’re in a bigger market like New York or Silicon Valley. Morris, I’d be interested in your perspective on that too, though. Morris: I’m gonna start by being overly technical. Because I think the average person equates Crowdfunding with a general solicitation of non-accredited investors. What does that mean? That means anybody can invest, and there’s no structure under FCC rules for how they’re asked to invest. Like a Kickstarter is non-accredited crowdfunding. That’s just not the way AngelList works. AngelList is all accredited investors. There is rarely to never a general solicitation, meaning I just go out and randomly ask people I don’t know for money. AngelList is network where people know each other, you get introductions, and the mode of investment is not through a general solicitation under the jobs act or anything else. So, in my mind, AngelList is nothing more than a communication platform here accredited investors can recommend investments to other accredited investors without having to pick up the phone and say “Hey, take a look at this.” That’s number one. And in that sense, I get a lot of recommendation through AngelList, people who find me through AngelList through other people I know on AngelList or who I have connections with on AngelList. I do not consider that crowdfunding in any way. I also participate in syndicates on AngelList. Nick: Just so you guys are aware, we just had Gil Penchina on the program, the largest syndicate leader on AngelList, so hopefully that provides some perspective. Morris: Good, as you know, a syndicate is much more like an ad-hoc venture fund for a single deal, than it is like crowdfunding. And in my view, the syndicates that I participate in, whether I’m a leader or a follower in that syndicate, those aren’t crowdfunding either. Now, that being said, one of the big syndicates invested in a company that I was already invested in, and it was great for that company to be able to get an investment from that syndicate. But crowdfunding to me is a whole other cup of tea. It’s suggests investments where you have a lot of people you don’t know, you have no idea who they are or what else they’ve invested in, or what kind of value that they have, ending up on your cap chart. In a syndicate, that’s not what happens. You can an investor who leads the syndicate, that’s the person that you speak to. That’s the person that’s on your cap chart. And I see that as being a very different thing. One of the pieces of advice I give every company is don’t take money from somebody you don’t know, don’t take a check unless it has some other form of value add that comes with it. Now that’s not advice that every company that I work with abides by, but in my mind, I don’t like the idea of any of my companies taking money from people that they have no idea who those people are, any more than I would invest in a company where I didn’t know the company or have some reason to believe that it was gonna be a winner. Nick: Sure. Can relate with that. A lot of the folks that I work with in Chicago are strategic investors, and they will not just be completely passive. They want to be active investors, they want to contribute, and they want to help in any way that they can, whether that’s on the internal development side or just creating connections. Morris: Correct, and the most important thing that an investor should be able to do is help you get to the next round. Nick: Yup. Absolutely. So, speaking of which, what are some of the common missteps that you see startups make when they’re attempting to raise capital? Morris: Being too eager to take a check. Because that’s when mistakes are made, that’s when you take on partners that aren’t gonna be good partners and may create problems for you down the road. Frankly that’s one of the most common mistakes I see being made. Another mistake that I see being made is not understanding the expectations that your investors are gonna have around communication, what their rights really are. Give them due diligence. 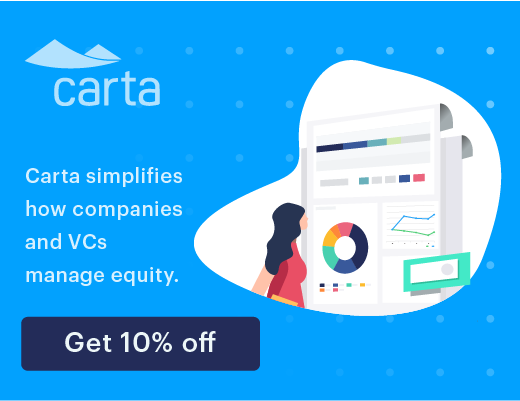 There are founders out there who think they can raise money from investors and tell them “You’re a small investor so you get no information rights” and when they ask for a cap chart and due diligence, they think they can tell them “No, you can’t see my cap chart, even though you’re wanting to invest in my company.” I see that more and more. Nick: I’ve never run into that. But I can see why it would be off putting. Morris: Yeah. And I mean, honestly, I’m not—generally in the really early rounds, I’m not going to be investing a lot of money. I’m an investor that puts twenty, fifty thousand dollars into the early rounds. I like to be able to get my investment up to two fifty or more, but not in the first round. And I’ve actually had a growing number of founders who expect an investment to be made without significant due diligence. Nick: Sure, so you’re marking some of that capital to hopefully follow-on on the startups that are growing and hitting the milestones that you would like. Morris: I go farther to say, I’m expecting to invest that money as long as they aren’t veering wildly off the path. And sometimes, I even invest when they are because it’s necessary. I follow-on. That’s what I do. I invest with the intention of continuing to invest through the Series A.
Nick: Directionally, what is the amount that you would follow-on with in terms of a 2x or a 3x? Making a fifty thousand dollar investment, how much do you plan or think about following-on? Morris: My hope is that I will have a two hundred and fifty thousand dollar or better position by the time the Series A closes. Nick: Wow, so about 5x of the initial position then. Morris: And yes—but remember, most of the time that I do my initial investment, it’s first money in, it’s pre-accelerator money, it’s…it’s often times pre and VP money. Morris: I’m betting on the team, I like the idea, and I’m backing the team to help get that MVP out. In a lot of ways, it’s almost friends and family money as much as it is investment money. Nick: Well, I hope that’s a testament to getting embedded and getting involved in your startup community wherever you’re at. Because the more involved you are, the more opportunity you have to interact with these young, brilliant folks and may have the opportunity to help them out form a very early stage. Mike: And, Nick, that’s how Morris and I came to know each other. We were both just very actively involved in Cleveland startup community. Morris didn’t invest in the previous company I had, I didn’t know Morris at the time when we were really raising, but we got to know each other. And I think that’s something—especially for somebody that’s outside of Silicon Valley, they’re in a more nascent startup community—that’s something that they can do right now to put themselves in a better position whenever they do start a company. You don’t have to have a startup company of your own, by the way, to put yourself squarely in the center of your own community. There’s certain things you can do to help build that up and hopefully you’re doing that, not just for the sake of being able to meet investors down the road, you’re doing it for the sake of wanting to build up your out community. But we talk a little bit about that in the book. There’s a company Ambition, and they were part of the Y Combinator class just a couple years ago, and they were out of Chattanooga, Tennessee. And Brian, one of the cofounders, that I had a chance to talk to—and he talked about how being in Chattanooga…that’s not exactly New York City, that’s not even Austin, or Boulder, or any of the other sort of secondary big startup communities, but in Chattanooga, they’re sort of one of the only shows in town. And he sort of takes pride in the fact that if you’re in Chattanooga and you know technology companies, you’re gonna know about Ambition, and he and his team, they put themselves out there to help mentor other startups. And they feel like, for them, one of the reasons why they decided to, after Y Combinator, move back to Chattanooga, they feel like there’s value to being the big fish in a little pond, so to speak—rather than locate their business in a place like Silicon Valley. As great as it is and as magical as that place it for them, that was one of the reasons why they went back east. Nick: So those are some things to do. Mike, what about from your perspective, what are some of the common missteps that you see startups make when they’re attempting to raise capital? And I think that that can be a mistake, if people don’t utilize their own networks. If they don’t go onto AngelList and specifically look at those investors they want to me and then go back to LinkedIn and see how you’re connected with that person. Like there’s work that everybody can do to all of a sudden make this giant world feel a lot smaller. So I see that often. And then the last thing I wanted to mention, and this is isn’t necessarily specific to in or outside of Silicon Valley, but just not understanding if or when they need to raise capital. A lot of people are focused on raising capital in the very beginning stages and sometimes that’s not what you need. Sometimes being able to put the effort into getting a prototype built, that’s well worth it as opposed to spend your time in the very beginning trying to find investment for an idea. Not many people invest in ideas, they invest in something more tangible and even getting something to prototype phase is a lot farther along than just talking about the idea itself. So those are a few things that really come to mind. Morris: I’m gonna jump in here for a second, because one of my favorite things to say and to tell founders—and I don’t mean it to be mean—but ideas are worthless. Execution is the only thing that has value. And kind of on the mistakes made, don’t be afraid to do the work. The best deals that I get don’t come through other investors. They come to me through the management teams of my portfolio companies. When another investor brings me a deal, if they haven’t invested in it, my first question is “Why?” and why are they sending the deal to me if they didn’t invest in it? Morris: and if the deal comes to me from someone who did invest in it, then my question is if it’s so good, why aren’t they doing the whole thing themselves? Why are they sharing it with me? And I tend to be a little bit cynical…but if it’s coming to me through the founders who I trust and who I’ve been working with and who I like and they say “Hey, I really like this person, they’re doing interesting things. Talk to them.” That almost means more to me than a deal that comes to me through my investor network. Nick: Interesting. Yeah, often the entrepreneurs that are leading these great companies are much more dialed in to their counterparts than investors can ever be. Nick: So, Morris, you’ve referred to this team makeup that you refer to as the Holy Trinity. What are the three rules that make for the ideal team and why are they important? The second role that has to be played is the Hipster. The Hipster is somebody who both understands design from an aesthetic standpoint, and from a UX standpoint. How do I make a product that my customers want to use? This is the person who has a relationship with the customer, and knows how to milk that relationship to figure out exactly how the product should be. So the Hipster, in many ways, is the product person. The Hacker is the technical person. And then unfortunately, every team needs a Suit. The Suit is the person that’s gonna get out there and sell. That’s gonna help do the spreadsheet models, that’s gonna help figure out what the pricing structure can be. And those don’t have to necessarily be three different people. Often times, I find a founder who can do two out of the three, so that I’ve got two people that are playing three roles. It’s rare that I find those three roles able to be played by one person. So in my mind, what I’m looking for is the Hacker, the Hipster, and the Suit within every team that I am investing in. Nick: What are some of the other key learnings throughout the fundraising and the investing process that has evolved your approach and changed, maybe, your initial assumptions? Mike: I think one for me is just the whole—my experience, but also talking to so many founders who’ve done it before, there’s a myth that in order to raise capital, you gotta be in Silicon Valley or New York or one of the other big markets, and it’s just not true. I’ve had the chance to talk to so many people that have raised the capital that they needed to get their business off the ground in all sorts of different places. So when I meet people that they have that mindset, “Gotta go to Silicon Valley is I want to get any money!” I like to crack them right away. Cause I’m sort of living proof that that’s not the case. You know, Silicon Valley, great place, full of capital and talent—it’s definitely special, but you don’t need to be there. And I think it’s important to have that mindset from the get-go. And in a way, that can be empowering. If you’re in a place like Lowville, Kentucky, or Chattanooga, Tennessee, or wherever it might be, you can absolutely get the funding that you need right where you are. It might not come all the way from Chattanooga or Lowville or all those places, but you can stay in those places and get the funding that you need. So I think it’s important to take on that mindset. Morris: I would agree with that. But I—maybe the most important thing that I’ve learned in the past—in Internet 2.0, since I’ve been investing since 2008/2009 is…I used to believe and I think a lot of companies believe that the most important round of financing that they have to raise is their seed rounds. And in my mind, one of the things that I am testing for when I’m looking at the team and I’m looking at the idea, and I’m looking at the prospects is how easy to I think it’s going to be for that next round to be put into place? When I started in 2008/2009 in this particular model that I’m using now…I don’t think I understood how important next round fundability was to the success of these companies. And now I really pay a lot of attention to that when I’m doing the first round. Nick: I don’t have the numbers in front of me, but it is a small percentage of those that get seed funded that ultimately close on an A.
Morris: That’s true. And there are—depending upon what region you’re in—there are all kinds of red flags for where the next round of funding may be coming from. Nick: Do you think that you feel the Series A crunch in a smaller market more so than folks in the Bay Area would, Morris? Morris: Well, I don’t know how to answer that question, because…only about twenty percent of my investing is in Ohio, and…of that, the only companies I’ve had so far were at a Series A stage, raise a Series A, I might say easily…so personally, I haven’t felt it. And I’m gonna go out on a limb here, and I know Mr. Belsito and a lot of people in Ohio will strangle me for this one but…I don’t think the Series A crunch exists. The Series A crunch suggests that there are a whole lot of companies out there that are deserving of Series A funding that aren’t getting it. And I’m not sure that’s the case. Mike: I don’t disagree with Morris on that one, actually. It’s like—look, you can prove out what you need to prove out as a business, I do believe that funding will be available to you. And that there might be companies that are able to prove out certain things about their business, but no necessarily the entire business model they set out to prove. And they might struggle to find Series A capital, but they should struggle to find Series A capital if they haven’t done all the things they needed to do to prove out that they actually have a business. So I don’t disagree with you. I don’t disagree with you on that one. Morris: I don’t know if either of you guys have seen the recent Mattermark report on startup funding, but it’s fairly clear that Series A funding is up in the past couple of years over the prior year. So I’m just not sure how anybody can call that a Series A crunch. Nick: I did see that report that you’re referring to. It’s pretty good, pretty exhaustive. Morris: Yeah. Yeah, it is. Nick: Alright, so, for both of you, if we could cover any topic in venture investing on the show, what do you think we should address, and who would you like to hear speak about it? Mike: I’d love to hear more about transparency between founders and investors. I think—one of the big learnings for me has just been how important that really is. And I don’t know that it gets talked about enough. When somebody really takes investment from somebody, they are entering into a deep, deep relationship with them. And in some cases, depending on the size of the investor coming on, board of directors or what have you, this is somebody that you’re gonna be working with so, so closely. Another mistake that some founders make is not really treating that relationship with the respect that it really deserves. And I think it’s important to be fully transparent with your investors through the good times and the bad. I’d love to hear more of those sort of really conversations with investors, regardless of who it is. But about times that they helped their startups, when they were at that very down part, but how they’ve actually worked together with them as partners to build things back up. Just personally as an entrepreneur who’s gone through the ups and the downs too, I’d love to hear more about those stories. Nick: Yeah—before, Morris, you weigh in on that—Mike, you make a pretty good point. Because we just had Joanne Wilson on to talk about predatory investor practices and being transparent and helping founders and the flood of emails I got right after was shocking. People were quite refreshed to hear someone talk so transparently. So I think you’re right on target about bringing that more to the forefront. Morris: So, we’re living in a world where there are a lot of people blogging about a lot of things. One of the things I don’t think we hear enough about, is those companies that bootstrap their way to success. That used revenues and not venture funding to get where they were going to be. I think it’s become too much of a—venture funding has become too much of a goal, rather than a tool, and I’d love to hear more from entrepreneurs, especially in the tech sector, who have opted not to go the venture route. And how it worked out for them. Nick: Yeah, it’s like some of the entrepreneurs become career venture capital raisers. I mean, you think that that’s all they’re doing sometimes, and—granted they may need the money—but, gosh, sometimes I just wish they were able to invest more of that time into the startup. Morris: Exactly right. And then there’s the idea that getting a certain investor, or a certain amount of money raised it something that deserves congratulations, when in fact it’s the execution that comes after that deserves accolades, not the raising of the money. The money is not a goal. That’s the means to the goal. Nick: Great point. So we’ll start with Mike here, but Mike, what is the best way for listeners to connect with you? Mike: Listeners can reach out to me—my email is mikebelsito@gmail.com. I’d love to hear from anybody is they got feedback. They can read some of my thoughts on startups on outsideofthevalley.com. 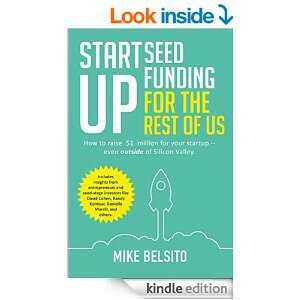 And for those that are interested in learning more about the book, you can actually just go to seedfundingbook.com. And that’s where you can find out more about startup seed funding for the rest of us. Nick: And, Morris, how about you? What’s the best way for folks to reach out and connect with you? Morris: So I am a fairly avid Twitter user. I spend a lot of time collating and curating things of interest to people in the startup community and I always respond to people on Twitter. My Twitter handle is @mowheeler–@mowheeler, that’s probably the best way to reach out to me. Nick: Alright, keep an eye out for Mike Belsito’s new book and if you’re raising capital, doesn’t sound like you can find a better guy that’s gonna support you more than Morris Wheeler. So both of you, thanks for joining me on the show today, and hope to connect again soon! Morris: Yeah, thank you very much, Nick. This has been great.